Yes! Leduc is a city but you wouldn't guess so because it is a city that shuts down on Sundays. Literally downtown Leduc all the shops are closed, only main store that is open is guess who.... Wal-Mart! now why would they close down when they could make money that would be insane, so therefore Wal-Mart stays open. Finished my article yesterday, wonders what having a desk does for a writer - it just makes the words flow and if you are sitting properly at the desk too, which i got a nice tall stool to match the height of the desk. So after the writing i decided to go out and explore Leduc some more, one landmark at a time so that way i do not get tired of living here so that way if i discover something new each day off or afternoon It can be just like i am traveling to a new destination and finding something new. Plus it keeps things new and fresh. 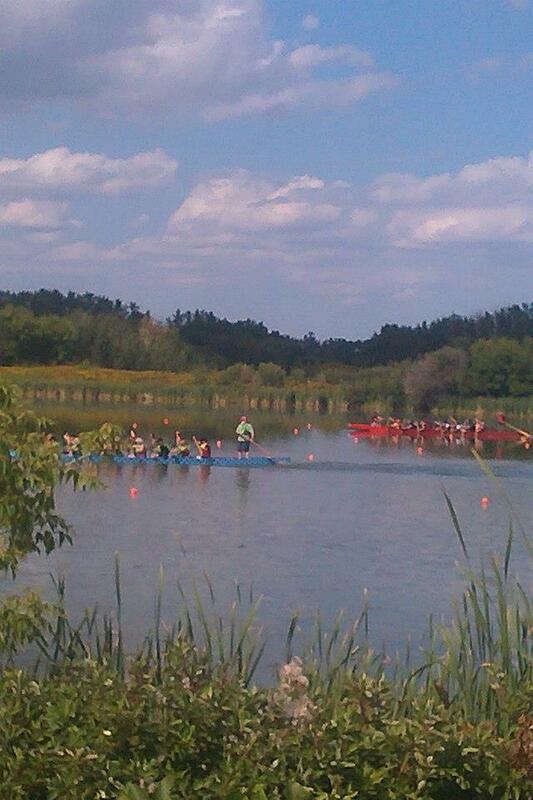 Telford Lake, located east of City of Leduc and 3.2 km in length and this weekend it will be the home of the Dragonboat Races. I got to watch a few boats practice this past weekend. 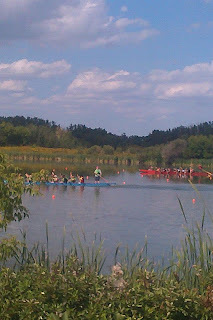 It looks like it is hard work but you sure get a good work out.They have to row the entire length of the lake and back. Also found another spot that is great for plane spotting. Although Air Canada does like to fly over my head a lot so i am not to sure about that - i think they are taunting me or something until my next big trip in Four months. Nah probably not but it is fun to joke with them. Here you can check out a video clip I had posted on my facebook wall of a Dragonboat practicing, so you can see how they do things in action. https://www.facebook.com/AyKate I can not wait till this weekend and watch a full motion race. So that is what I did this past weekend, what did you do?